Without much surprise, Real Madrid lost their 6th league game this season, after leaving the Ramón Sánchez Pizjuán with a 3-2 loss. The Merengues goals were scored by Borja Mayoral and Sergio Ramos. If they were given the option to simply don't play tonight's match against Sevilla, most likely every Madrid player would have agreed with the idea. 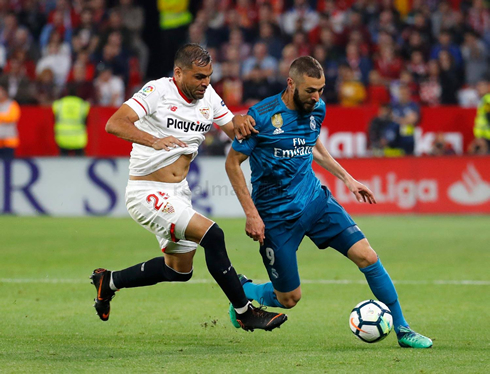 The Merengues lost 3-2 in their visit to Sevilla tonight, in a game where Zidane ended up rotating more than half of his team. The hosts were the more dangerous side throughou the night and found themselves 3 goals up as we entered the last 5 minutes of the game. 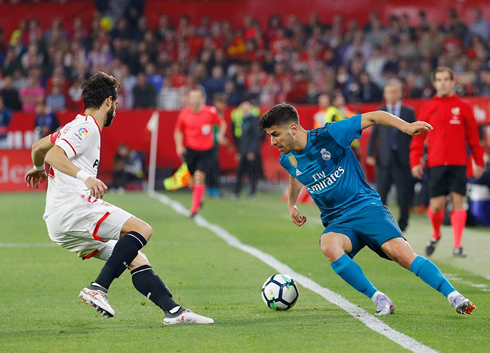 A late reaction by Madrid allowed the European champions to avoid what would have been a humiliating defeat and a goal each from Mayoral and Sergio Ramos helped the fans digesting another loss in the league. 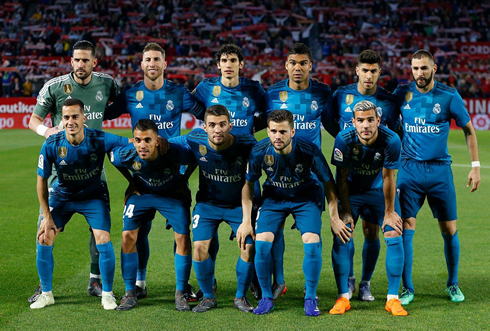 With the final against Liverpool getting closer day by day, Zidane has opted to play it safe in the league, fielding our "B" team against a Sevilla side that have been in poor form the past few months, but are still fighting for a spot in the Europa League next year. So what exactly went wrong today? Well, what goes wrong most days when we don't play the starters? A lack of direction and familiarity leading to a disorganized performance. Our reserve just isn't good enough and unlike last season when we romped to victory in the league on the back of our backup players. While Alvaro Morata has had his own fair share of trouble in the Premier League this season, without a true backup forward we've seen ourselves unable to score and penetrate any disciplined defenses. Nice goal today for Mayoral however, but he's still just too young and too raw to be our full-time reserve. Sevilla went up 3-0 today and despite the late goals from Borja Mayoral and Sergio Ramos, the performance was poor. It often doesn't feel like a real team when we play the reserves. Just a collection of talented but tactically poor individuals. Theo Hernandez in particular, seems way off the pace and far from the player he was last season. Thankfully, these games don't matter too much and with Isco, Carvajal and Ronaldo all resting and planning to be fit for the final against Liverpool, it's fair to say we have bigger fish to fry. Attackers: Lucas Vázquez, Asensio, Benzema. Cristiano Ronaldo next game for Real Madrid is on May 12 of 2018 against Celta de Vigo. You can watch Juventus live stream, Real Madrid vs Celta de Vigo, Getafe vs Atletico Madrid, West Ham vs Manchester United, Derby County vs Fulham, and Bayern Munich vs Stuttgart, all matches provided from our soccer live game pages.